As a beautiful seaside city located on the southeast coast of China, Xiamen faces Kinmen Islands and lies opposite Taiwan and the Penghu Islands across the Taiwan Straits. Legend has it that white egrets inhabited this area in ancient times, hence its name Egret Island. Its annual average temperature is around 20°C, without extremes of heat or cold. With a land area of 1,573.2 km2 and a sea area of 390 km2, Xiamen administers six districts, namely Siming, Huli, Jimei, Haicang, Tong'an and Xiang'an. Southern Fukinese is the city's pervasive local dialect among its 3.73 million permanent residents. Xiamen is one of the most competitive cities in China and one of the first Special Economic Zones on the mainland. As a vice-provincial city independently listed on the state development planning, it is granted provincial-level authority on economic administration and local legislative power. In 2010, Xiamen SEZ was expanded to cover the whole municipality. 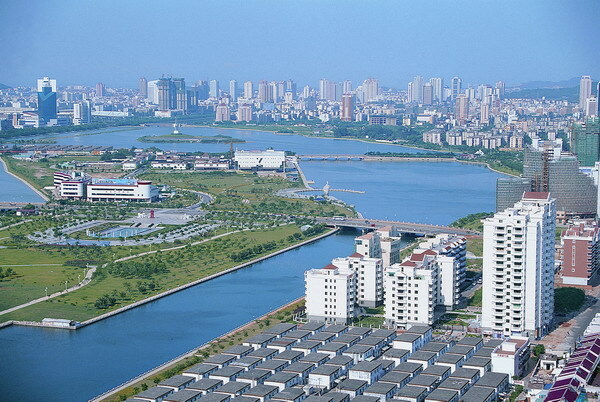 Now it has already become a modern and international port city featuring beautiful scenery. In 2013, the per capita GDP of the permanent residents exceeded $13,000. The fiscal revenue accounted for 27.3% of the local GDP and the residents’ per capita income ranked first in the whole province.